It has been ages that I haven’t updated the MegaUpdate package for Kobo. Now that a new and seemingly rather bug-free and quick firmware release (4.6.9995) has been released, I finally took the time to update the whole package to the latest releases of all the included items. The update includes all my favorite patches and features: Kobo Start Menu, koreader, coolreader, pbchess, ssh access, custom dictionaries, and some side-loaded fonts. Metazoa firmware patches (thread): fix some layout options and functionalities, see below for details. Kobo Start Menu (V08, update 5b thread): a menu that pops up before the reading software (nickel) starts, which allows to start alternative readers (like koreader) etc. Warning: Sideloading or crossloading the incorrect firmware can break/brick your device. The link below is for Kobo GloHD ONLY. The first step is to update the Kobo to the latest firmware. This can easily be done by just getting the latest firmware from the links above and unpacking the zip file into the .kobo directory on your device. Eject and enjoy the updating procedure. 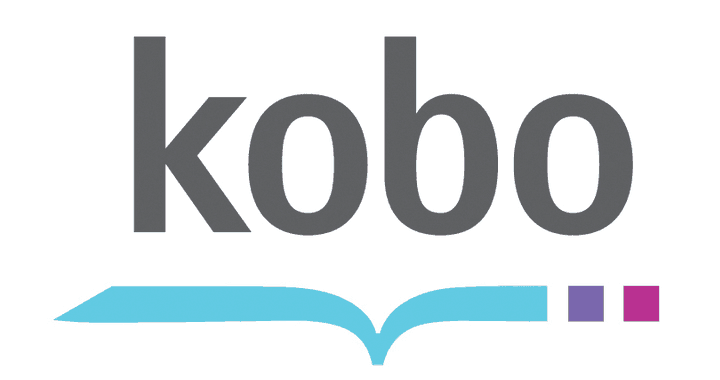 Get the combined KoboRoot.tgz for your device from the links above and put it into the .kobo directory, then eject and enjoy the updating procedure again. After this the device should reboot and you will be kicked into KSM, from where after some time of waiting Nickel will be started. If you consider the fonts too small, select Configure, then the General, and add item, then select kobomenuFontsize=55 and save. The full list of included things is above, here are only some notes about what specific I have done. If you need/want different patches, you need to do the patching yourself. Kobohack (latest version 20150110) originally provided updated libraries and optimizations, but unfortunately it is now completely outdated and using it is not recommended for the library part. I only include the ssh server (dropbear) so that connections to the Kobo via ssh. See the detailed instructions here, the necessary files are already included in the mega upload. It updates the /etc/inittab to run also /etc/init.d/rcS2, and this one again starts the inetd server and run user supplied commands in /mnt/onboard/run.sh which is where your documents are. The necessary directories and scripts are already included in the above combined KoboRoot.tgz, so nothing to be done but dropping updated, fixed, changed dictionaries into your Kobo root into the directory customdict. After this you need to reboot to get the actual dictionaries updated. See this thread for more information. The adaptions and script mentioned in this post are included in the mega update. you will have to enter the new password two times. Remember it well, you will not be easily able to recover it without opening your device. edit the file /etc/inetd.conf.local on the GLO (using vi) and remove the telnet line (the line starting with 23). Btw, perhaps it’s slightly less convenient depending on your use case and preferences but KSM also comes with USBNet enabled by default these days. Sorry, I meant integrated, not enabled. Thanks for your comment, some questions: where do I get a better sink.qss? And is it uniform across devices? The change specific for H2O is, well, specific and thus not perfect for including in a universal package. Btw, if it’s of any use here are the KOReader viewport definitons. I sent a eink.qss-file by email to you, maybe you want to try it out. Of course it‘s a matter of taste, for me, at least on the Kobo Aura H2O, the menu font, menu bar etc. are too large without changing the values in the eink.qss. I‘m sorry, my mistake! I sent it again, now it should have worked. have done and ksm doesn’t show for me. Thanks for notifying me of the new firmware, I will update the pack soon. when I got this update from Kobo automatically it bricked my GloHD, got any resources a fairly handy Linux user might use to get the device working again? What do you mean? Did you install the original firmware and it bricked your device? If yes, did you use the *correct* version (Mark6 version)? btw is AuraHD H2O Mark4 or Mark5 device? I had the one with the MicroSD card Slot. Hi. I installed the Mark 6 Mega update 4.6.9995 on my Kobo Aura Edition 2 a few months ago. Unfortunately Nickel now spins in an infinite loop when loading. Other programs (KOReader, KSM, etc) work without difficulties. Do you know why this could be happening? No wifi networks seen after this mega update. Factory reset and voila, networks are available. I tried twice and each time the same. Not on my device. Did you choose the correct MarkX version for your device? que mega actualizacion puedo ponerle a un aura edition 2 v1?